Explore Providence, The Creative Capital! Providence, the Creative Capital, has a lot of great arts and culture opportunities for visitors to explore. We know that many of you coming to The Art of Placemaking are first time visitors to Providence. We have put together some great tour options for our conference attendees to get to know this fabulous city. 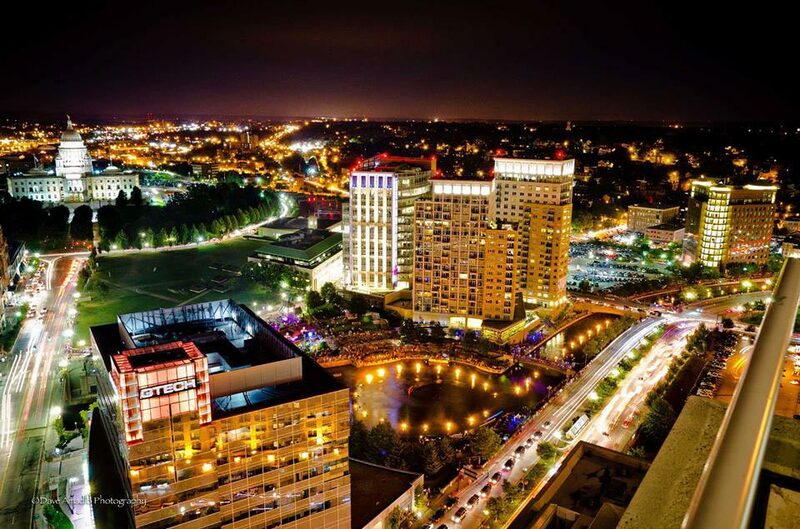 So if you are new in town, a frequent visitors, or even a local we hope you take advantage of all of the arts, culture and night life Providence has to offer. Check out our Ignite Providence website for some great recommendations of arts & cultural events taking place during your stay in Providence. Events include performances by Kronos Quartet, Festival Ballet Providence; The Weekly Salon at the Providence Atheneum; the CRAFTOPIA Holiday Show; and more. Of course on Saturday, beginning at sunset, WaterFire Providence is presenting a Salute to Veterans. It will be the first ever community wide celebration of Veterans on such a large scale in Rhode Island. This WaterFire will be a full WaterFire event lighting and solely devoted to saluting and honoring our Veterans and all military personnel of the United States and their families. If you have never experienced the sights, sounds, and smells of a WaterFire lighting then this is a must. You can take in the experience as a mere spectator, or if you are feeling adventurous we have many volunteer opportunities available. Contact our volunteer team for more info. Brown University welcomes attendees of The Art of Placemaking Conference to campus on Saturday, November 9th from 2pm – 4pm. Following are recommended spaces to view on Saturday, listed in a most convenient ord for a walking tour. Experience Rhode Island wants to show you what’s great about the Ocean State. We have created fun, unique Rhode Island experiences that you, your friends, family, and guests will enjoy. We offer you several great ways to spend an evening or a day. EXPLORE PROVIDENCE! – a lively 2-hour narrated driving tour which tells the story of the city, includes stops for pictures at some of the city’s great sights, and an appetizer or pastry at one of the popular cafes/restaurants in the city. This will give you the tale and a taste of our capital city! Times: Monday – Saturday, 10:00am & 2:00pm. Departs from the Visitor Information Center at the RI Convention Center. PROVIDENCE DINNER TOUR – a fabulous 4-hour excursion which combines three of the highest-rated fine dining restaurants in Providence on a progressive dinner tour, and includes a unique evening tour of the city in between courses! This memorable night will be one of the most fun dining experiences of your life! Times: Monday – Friday, 6:00pm – 10:00pm. Departs from the Visitor Information Center at the RI Convention Center. WATERFIRE SHUTTLE – Introducing a fun, comfortable, hassle-free way to enjoy Providence and support WaterFire! For $10 per person ($5 for kids 12 and under), you can enjoy unlimited hop on/hop off shuttle service between some of Providence’s most popular restaurants and attractions and the WaterFire Arts Festival Plaza. Now along with taking in WaterFire, you can dine at one of our great restaurants, or shop at some of our wonderful boutique stores, all while learning about our fantastic downtown on a narrated shuttle ride! At the same time, you will also be helping to support WaterFire, because $5 from every adult ticket purchased will be given back to WaterFire! So hop on board the Experience Rhode Island shuttle, support WaterFire, and have a wonderful time every WaterFire night. To get on the Experience Rhode Island shuttle, park your car for free at exit 23 off I-95 at the State Offices parking lot. The shuttle picks up all passengers right at the entrance of the Department of Health building. The shuttle will come by every 30 minutes beginning at 5:00 pm, and will go till 12:00 am. Tickets may be purchased right at the shuttle.